Apparently, Fred Phelps died. I won't lie: I think the world is a little brighter without his footprint, though his actions will continue to reverberate for a long time. I'll admit: it's easy for me to let him slip from my mind. He never directly hurt me. I think his mission was disgusting, but my existence was not called a pestilence of the earth. Last week, an old friend un-friended me on Facebook. I don't totally know why--though I have my guesses. I'm Mennonite, a pacifist, and in general fairly liberal. I'm not saying this friend isn't some of those things, but I think one too many peacenik-y links on Facebook was too many. I've written this friend twice since I was dumped, but the lack of response to both tells me it's over for the foreseeable future. I've had a busy week, so I haven't had a lot of time to reflect on this turn of events. I've finally had a minute to consider the end of the relationship: how I'd valued the fact that we were people with differing views who still managed to remain friends; how we talked about what we had in common rather than what we didn't; how I was a fool to think this friend valued our friendship as much as I did. My temptation is to send one more message of anger and frustration, and spew the darkest bile at this friend, which is probably what some of Fred's victims want to do. This, of course, is on a much smaller scale than the anger of the LGBTQ community, and I don't mean to imply that this friend's behavior is anywhere near his behavior. It just made me realize how easy it is to let plain old hurt get the better of me. I know that to let anger and hate pour from my fingers only hurts me in the end. 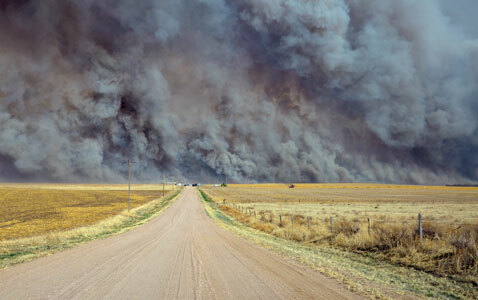 When I took the final driving test for my license, a wall of smoke from a field fire suddenly surrounded the car. I wanted so badly to hit the brakes, but I knew there were at least three cars behind me. So I carefully slowed down and drove through the smoke. The instructor said how calm I seemed and how I'd made the right decision. I think he was a bit surprised. I didn't admit it at the time, but I felt anything but calm. Somehow my body decided not to obey the frantic calls from my brain to stop. Frankly, I think that wall of smoke was the only reason I passed the test, because I nearly turned into oncoming traffic an hour later! I hope I keep steady and that my fingers refuse to do what's in my mind.